Make New Friends at FBC this Summer! Once again this summer, the Christian Ed. Committee is organizing opportunities for connecting with one another (while having fun!). Everyone is welcome to all events. The FBC pastors were the first to sign up to host. Would you still like to host something (group outings, activities, classes, etc.) during the Summer of Fun? Contact Lucy Plovnick, at lhp@msk.com. Eight folks joined Kate Campbell for a free U.S. Navy Band concert on Tuesday, Aug. 22, at 7:30 p.m. at the U.S. Navy Memorial. The program included jazz, rock, show tunes, country and traditional hymns and features the Navy Ceremonial Guard and Drill Team. The memorial is on Pennsylvania Avenue NW, between 7th and 9th streets, next to the Archives/Navy Memorial/Penn Quarter Metro station. The band's website is www.navyband.navy.mil. We joined Rochelle Howard on Saturday night, August 12 for wine and cheese on the rooftop of the General Scott Building at 1 Scott Circle NW, Washington, D.C. We enjoyed some great fellowship as we watched the sunset over a panoramic view of the nation's capital (along with the coming storm and downpour). A casual game night at Kelly Dunlap's home in Columbia Heights was enjoyed by a group of 7. We had a variety of games and folks brought their favorite games. Delicious light snacks were provided. Over 10 folks joined Lucy Plovnick on Friday night, July 21 for dinner followed by a live performance by The Capitol Steps, a comedy troupe that has been performing musical political satire here in Washington, D.C. for more than 30 years. They put the “Mock” in Democracy! 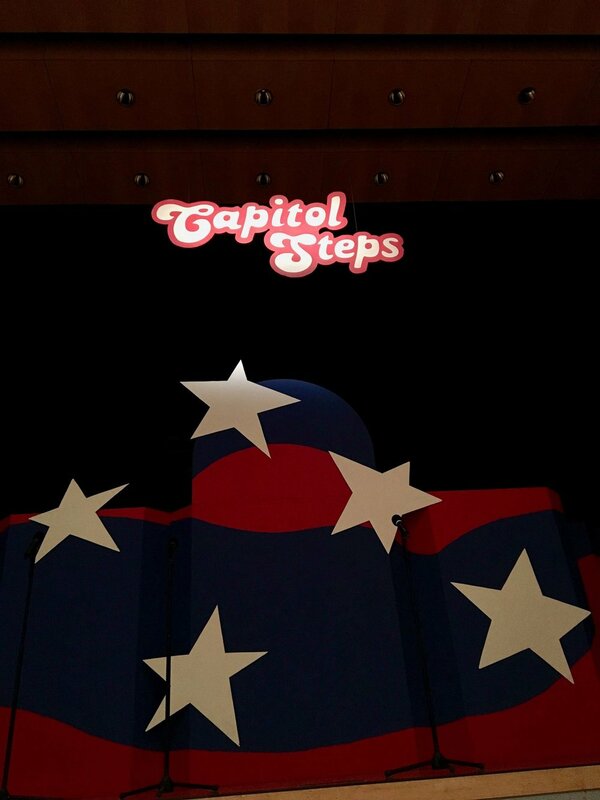 For more information about The Capitol Steps, check out their website http://www.capsteps.com/. Tickets to the 7:30pm performance were $33.00 per person for those attending as a part of our FBC group. Before the show, we met up with Lucy in the Food Court in the Ronald Reagan Building for dinner from 6pm to 7pm. Information on the Ronald Reagan Building Food Court can be found here http://itcdc.com/dining/. "A great, hilarious time last night with FBCDC friends: Dinner and a performance by the Capitol Steps." We Met Pastor Julie at 5:30pm on the front steps of the Basilica of the National Shrine of the Immaculate Conception (Brookland neighborhood in D.C.), on Sunday evening, July 9. We heard Russian organist Marina Omelchenko perform a free recital at 6pm in the Great Upper Church, then walked to a nearby restaurant in Brookland for dinner together. Read more about the Basilica here. 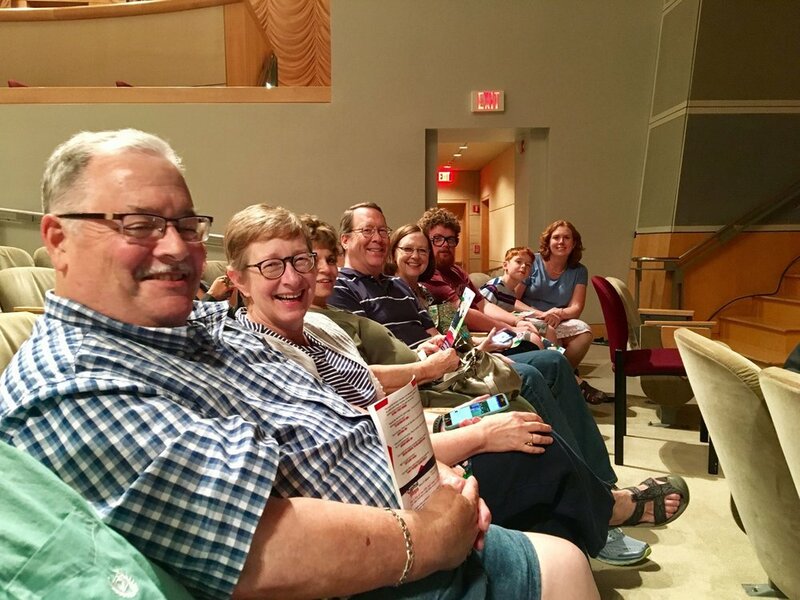 Pastor Alyssa hosted a group on Friday night, June 23, for “Jazz in the Garden” at the National Gallery. The concert was by critically acclaimed Blues/Jazz/Gospel singer Juanita Williams and was free to the public. (The Pavilion Café was open with a special menu of appetizers, entrees, salads and drinks.) Read more about Jazz in the Garden here.